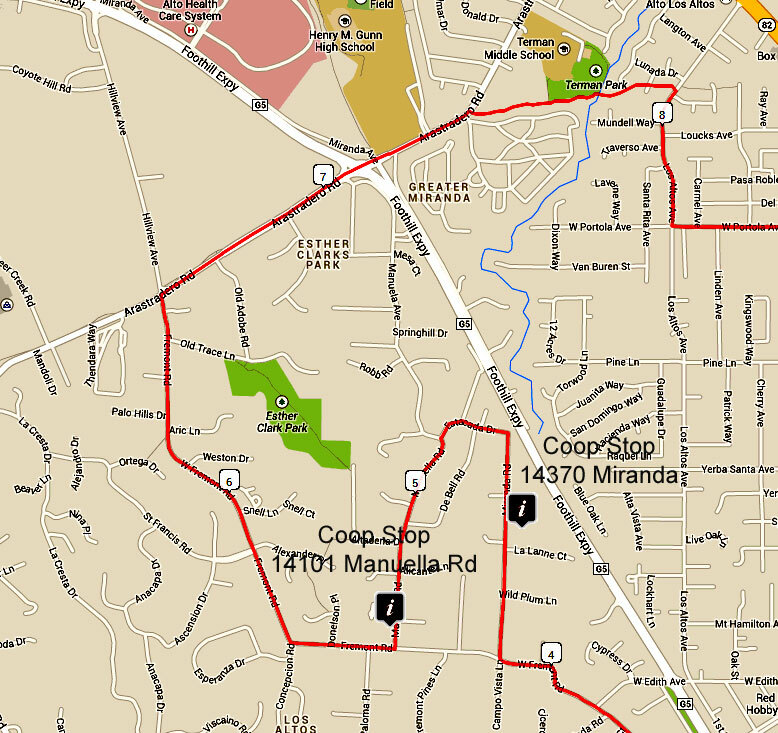 This 12.7 mile tour features 7 coops in 3 cities and has some short hill climbs. It starts at Cuesta Park in Mountain (Cuesta Drive, MV) but feel free to start anywhere along the route to decentralized any parking issues. Click on the maps below individually and then print each map with your browser. Click on the cue sheet PDF to get turn by turn directions. 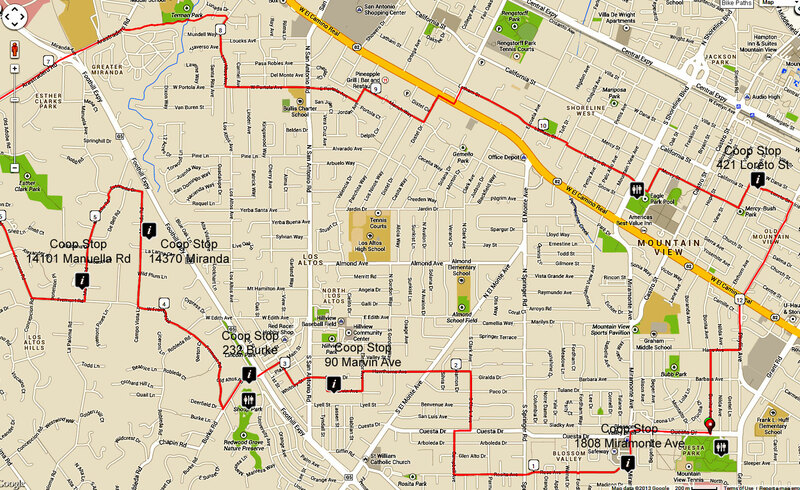 You can also view these maps with your smart phone from this web page for navigation.